Fully air conditioned, apartments feature modern furnishings with wooden flooring. Each comes with ironing equipment, a fridge and a flat-screen TV. Apartments are serviced weekly. 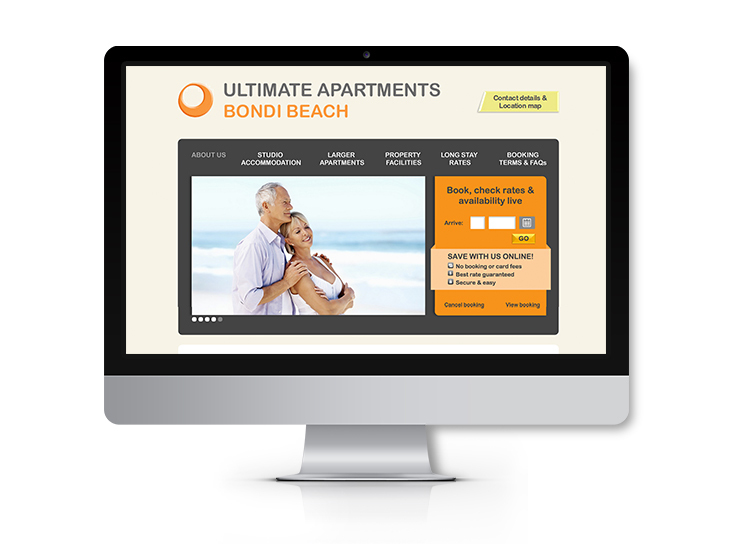 RESULTS: Despite being a small boutique hotel in Bondi Beach, Ultimate Apartments Bondi Beach enjoy maximum online exposure thanks to an ongoing and comprehensive SEO Package with geoLocalSEO. They have the highest online visibility in Bondi for accommodation and hotel keyword phrases and outrank some of the largest hoteliers such as TFE, QT, Quest and Meriton Apartments. Lisa has managed to secure our rankings for really competitive phrases and kept them there for more than a year. She is very friendly and the results speak for themselves.